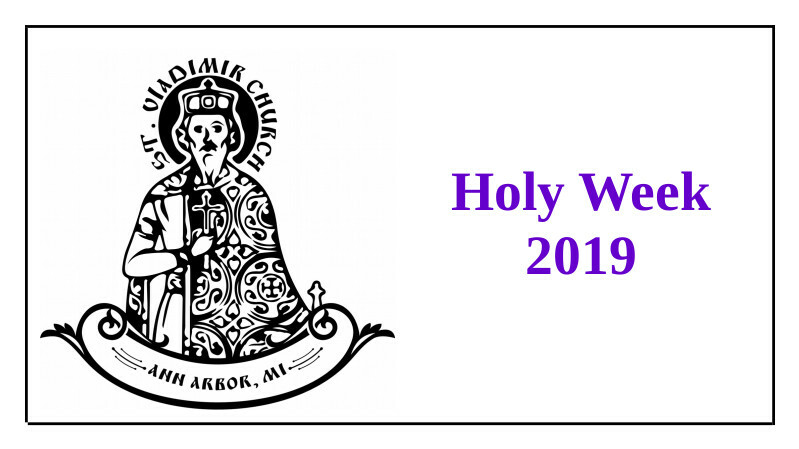 Those who confess beginning on Friday, April 19 and any time during Holy Week may partake of Divine Communion during any of the Holy Week & Bright Week Divine Liturgies if they have read their pre-Communion rule. Please plan to come to Confession early in the week so that your Confession will not be rushed due to long lines of others waiting for Confession. ONCE YOU HAVE CONFESSED YOU SHOULD NOT CONFESS AGAIN UNLESS YOU FALL INTO A VERY SERIOUS SIN. There are MANY who need to confess this week - literally hundreds. 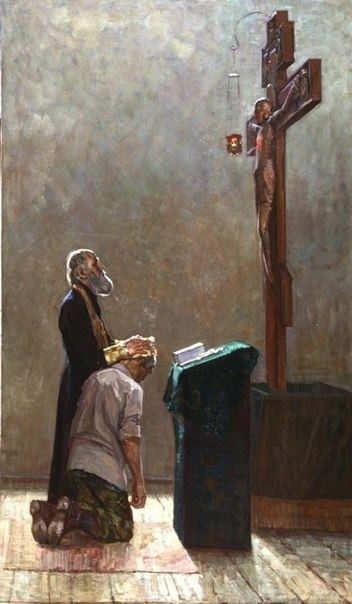 Please be merciful to your priests and only confess one time unless there is a very serious need to confess a second time. 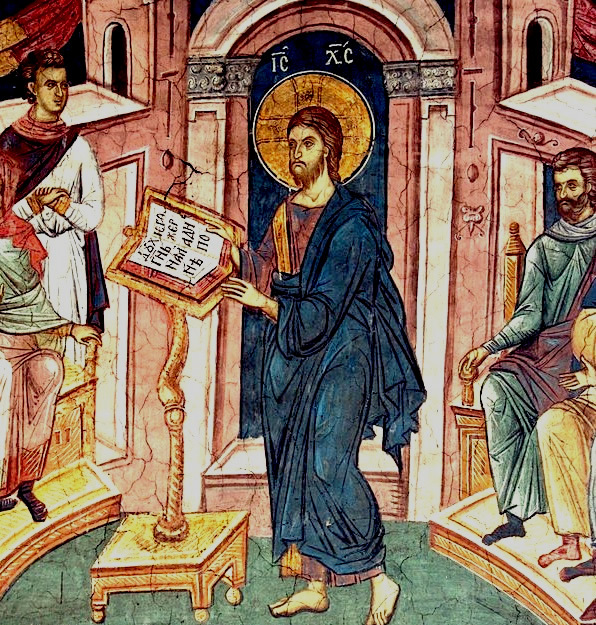 Here we provide the Synaxarion for Holy Tuesday for the edification of our readers. 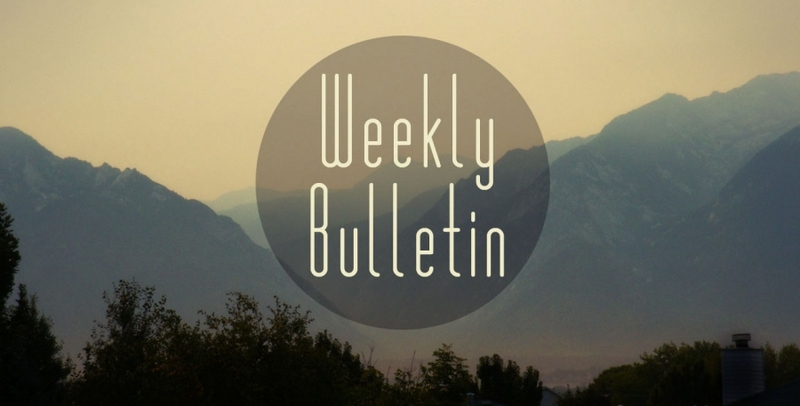 This week we will provide the Synaxarion for each day of Holy Week for our readers so that even if one cannot attend the Divine Services one can still remain as close to the Lord as possible during this very important week. 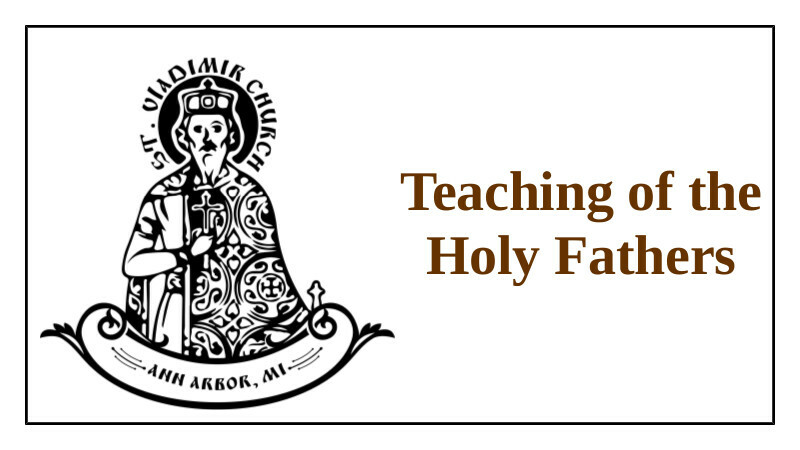 Please join us at St. Vladimir's as your personal schedule allows! Here we provide the Synaxarion for Holy Monday for the edification of our readers. This week we will provide the Synaxarion for each day of Holy Week for our readers so that even if one cannot attend the Divine Services one can still remain as close to the Lord as possible during this very important week. 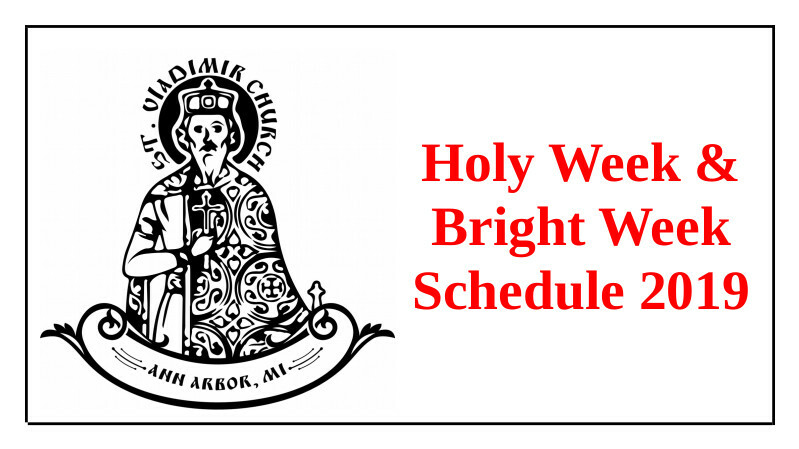 Please join us at St. Vladimir's as your personal schedule allows! Invite a Friend for Pascha! There is no day like Pascha: it is the feast of feast and the day of days. It is the most important feast and the most important day of the year. What a great day to invite a friend to join us at St. Vladimir's! Please take a moment now and invite a friend – or two – or five – or more to the Paschal service. 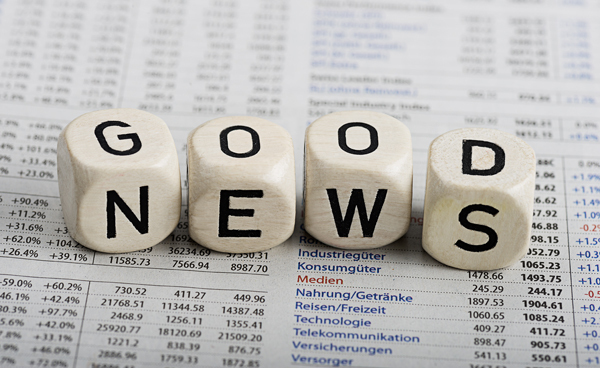 Pascha is April 28 so do not wait! Join us beginning at 11:00 p.m. on Saturday, April 27 and stay with us right through our Paschal meal early Sunday morning after all the beautiful Divine Services. 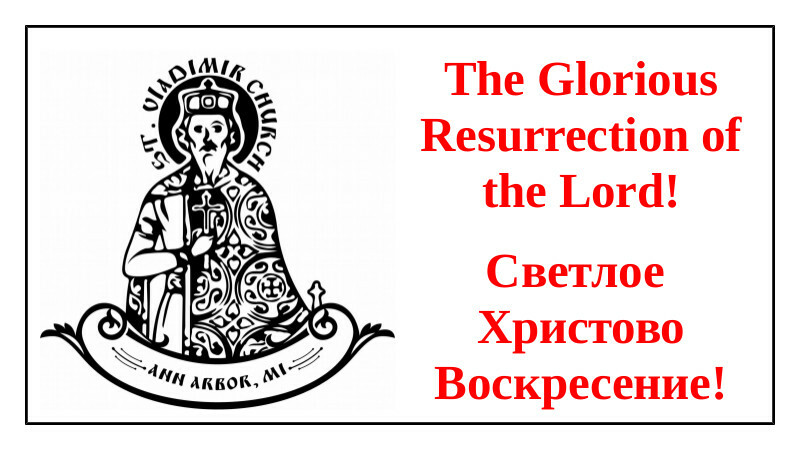 Do not hide the Pearl of Great Price – invite a friend to join us this year for the Lord's Glorious Resurrection at St. Vladimir's!